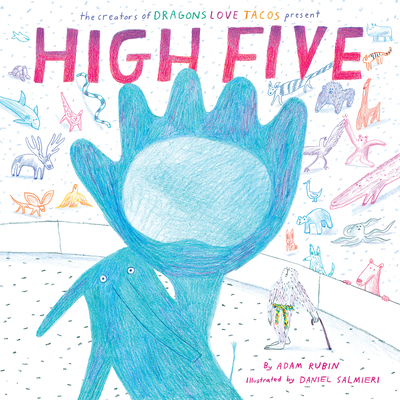 Adam Rubin is the #1 New York Times best-selling author of ten critically-acclaimed picture books, including the Those Darn Squirrels trilogy, Dragons Love Tacos, Dragons Love Tacos 2: The Sequel, Secret Pizza Party, Robo-Sauce and El Chupacabras (which was short-listed for the 2018 Texas Blue Bonnet award). He spent ten years working as a creative director in the advertising industry before leaving his day job to write full-time. In between writing projects, he designs and collects optical illusions, puzzles and games. His favorite color is blue, his favorite food is fried chicken, and his favorite animal is the otter. Adam currently lives in Barcelona, Spain. Daniel Salmieri is an award-winning illustrator from Brooklyn, NY. He has illustrated 12 picture books, including three New York Times best-sellers (Dragons Love Tacos, Robo-Sauce and Dragons Love Tacos 2: The Sequel), and he regularly creates illustrations for magazines and newspapers. He lives in Brooklyn with his wife Sophia and their dog Ronni. His favorite things to draw are cars, plants, dogs and people.